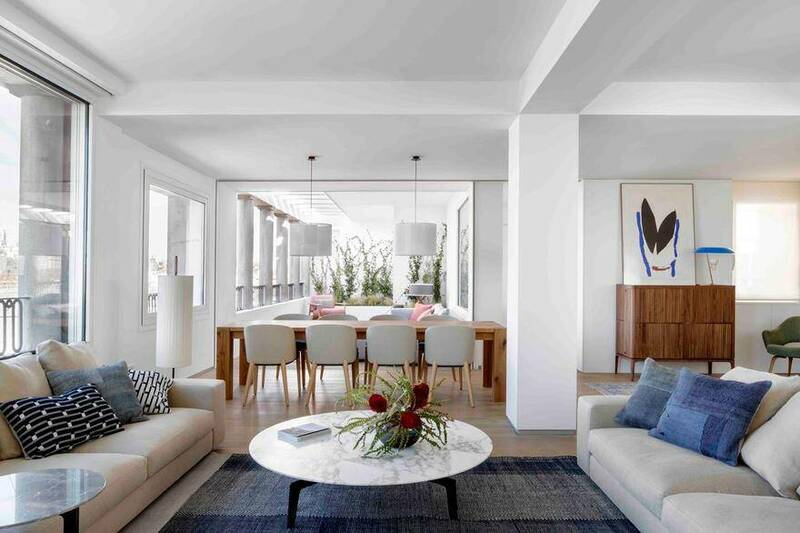 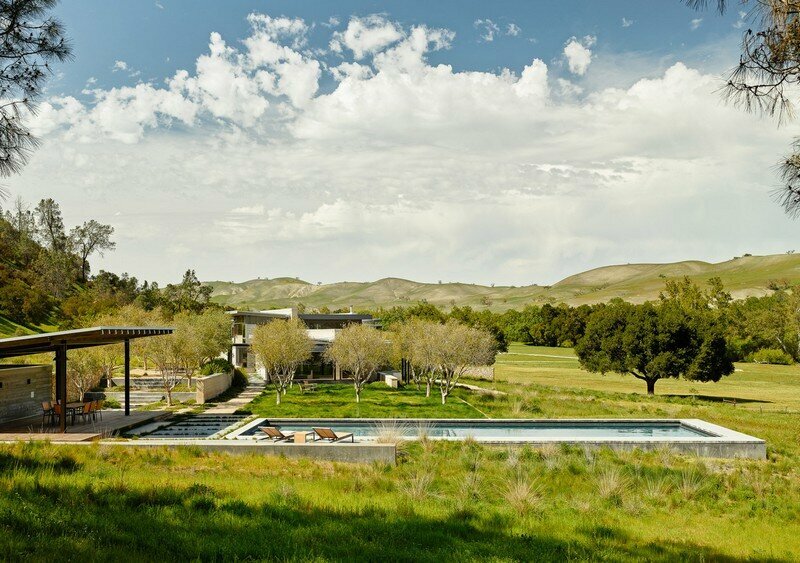 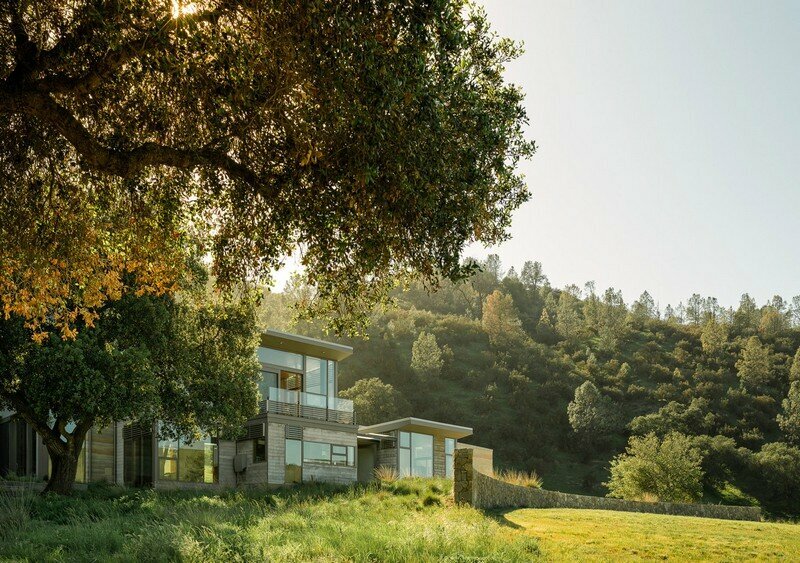 Spring Ranch is a new 5,000-square-foot single-family residence designed by San Francisco-based Feldman Architecture. 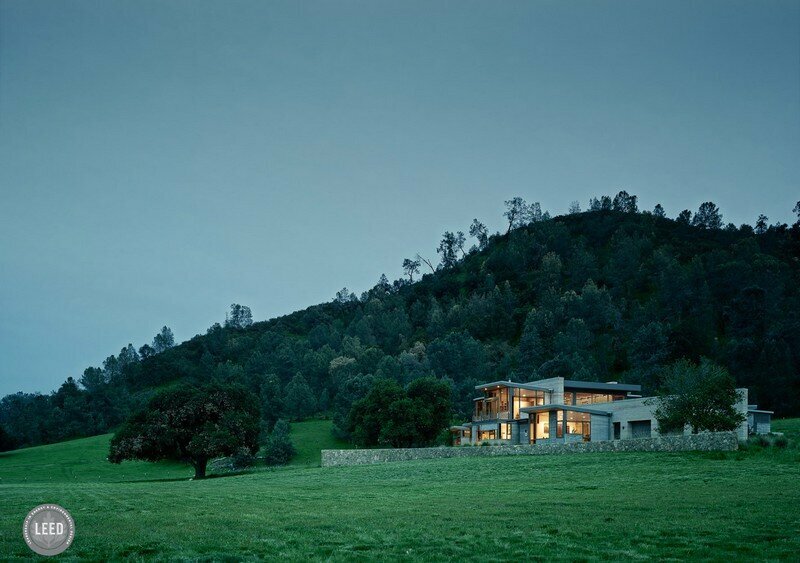 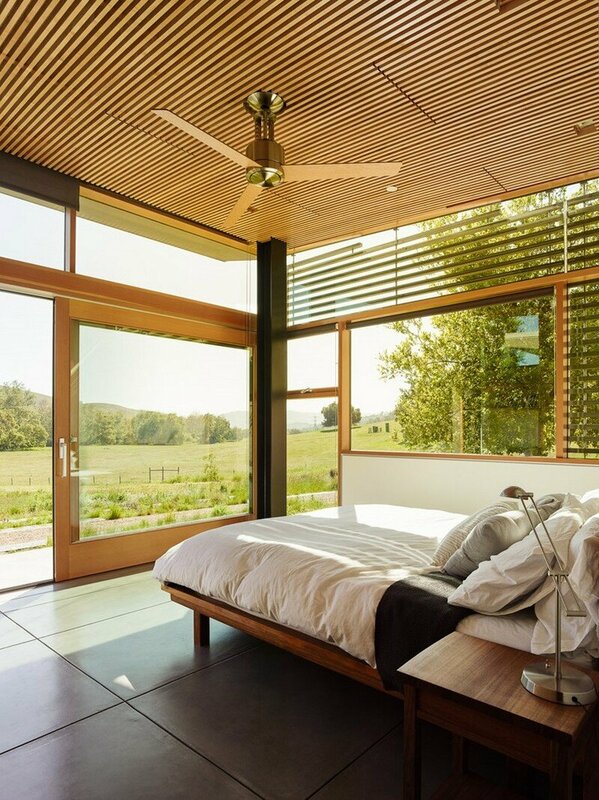 Description by Feldman Architecture: Located in California’s Central Valley, this family retreat nestles amidst the grazing livestock of a thriving walnut farm. 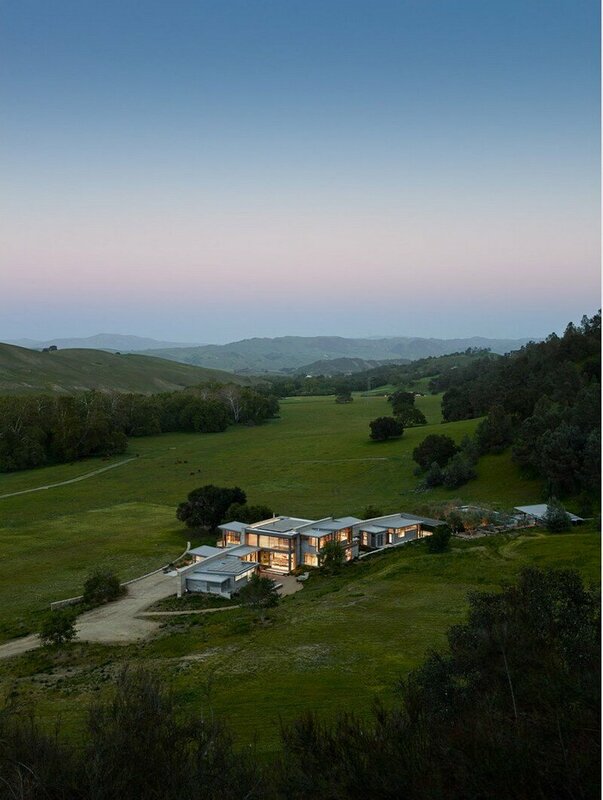 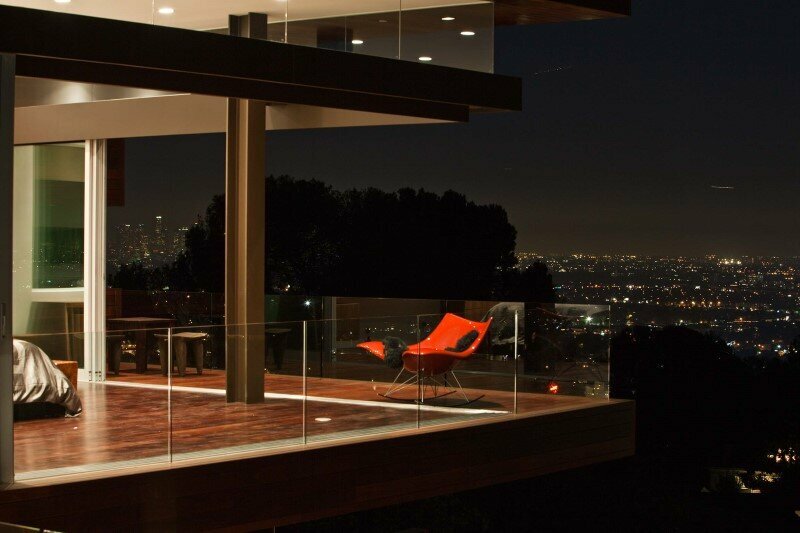 From the base of a large hill, the house opens up to eastward views of rolling hills along the San Andreas Fault. 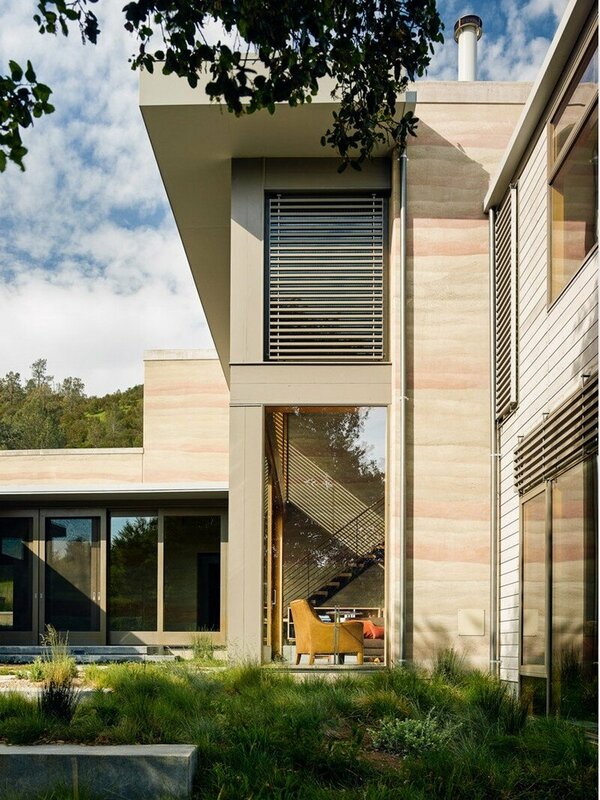 Three long, gently arcing rammed earth walls anchor both the indoor and outdoor spaces to the site. 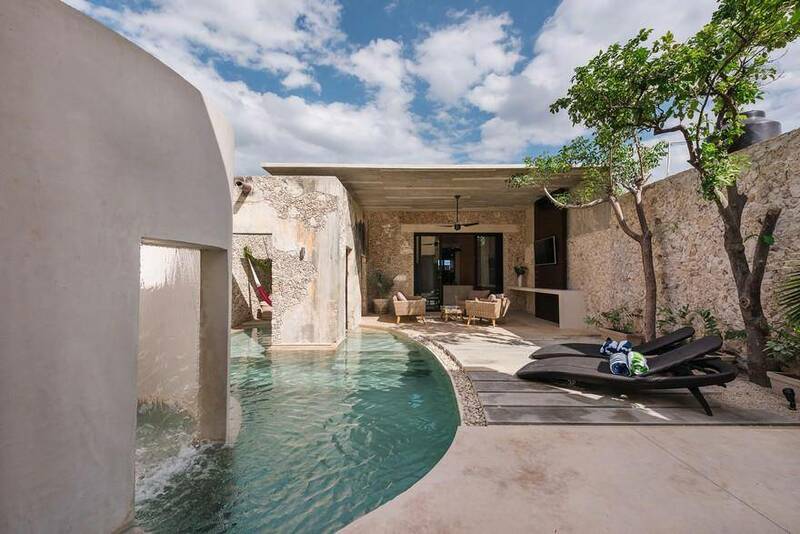 Private suites and a bunk-room offer lodging options for guests and the owner’s grown children and grandchildren, while large communal gathering and cooking spaces bring everyone together. 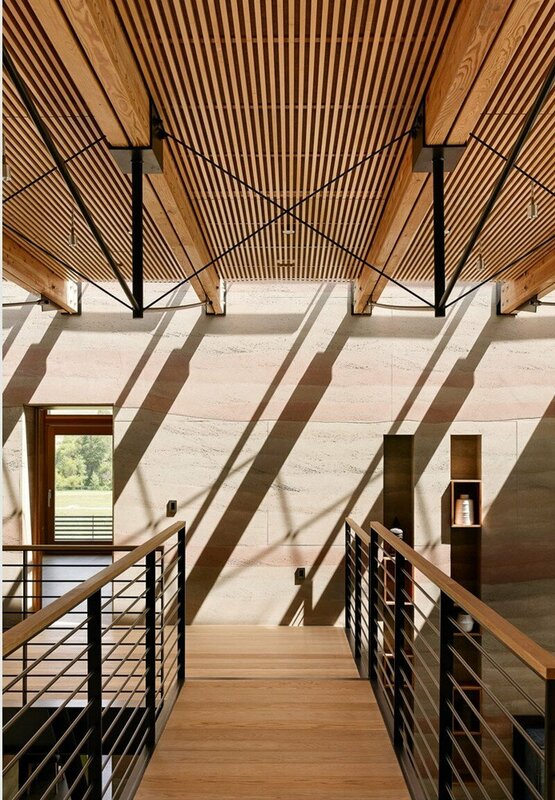 A palette of wood, glass, steel, and stone compliment the bold texture of rammed earth. 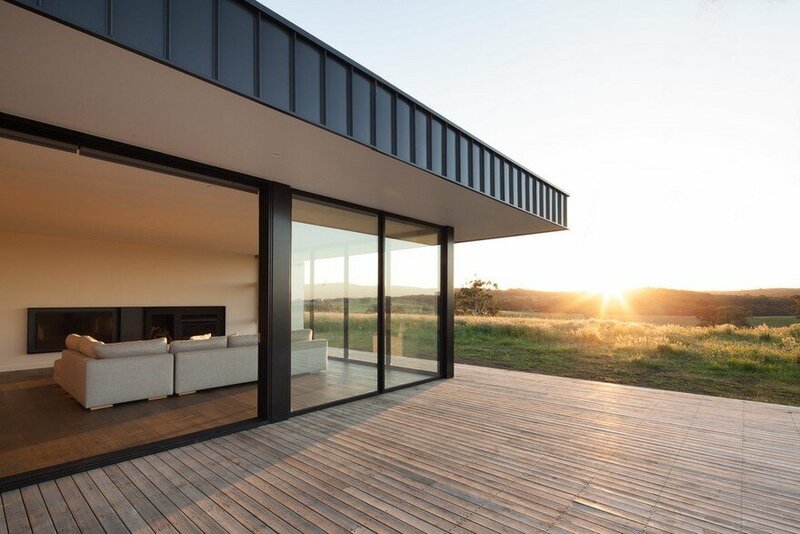 The living volumes extending from the central wall are primarily wood framed volumes supported on steel moment frames. 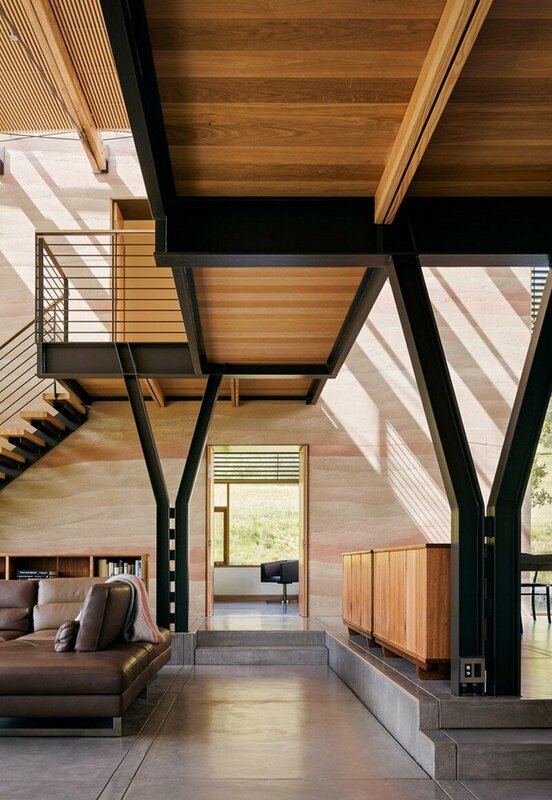 The living room of the house features exposed custom bow trusses at the roof and an exposed steel frame loft with wood decking. 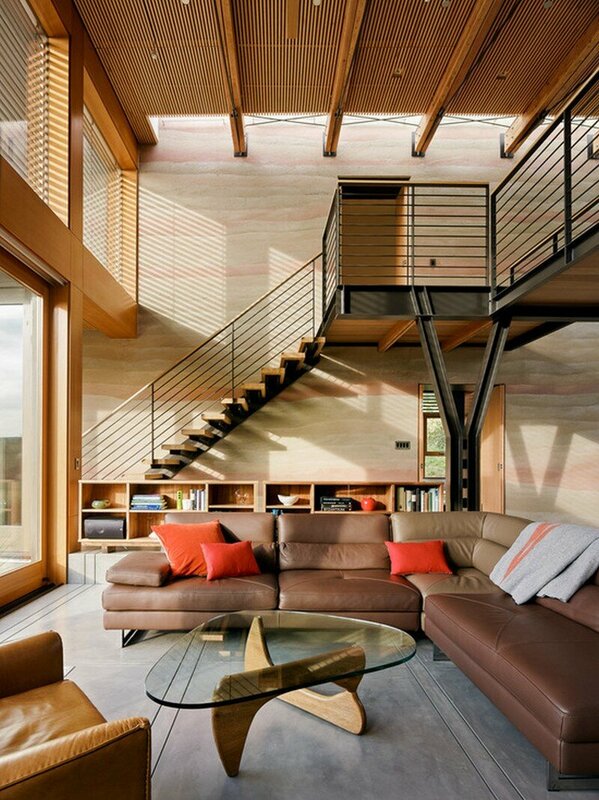 The stairs accessing the loft are cantilevered off of the rammed earth walls.